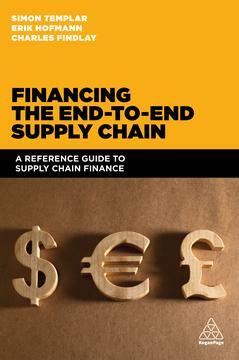 Financing the End-to-End Supply Chain, by Simon Templar, Erik Hofmann, Charles Findlay, is an educational investment that many procurement and supply chain professionals will benefit from. Despite being one of the top ‘up and coming’ professional topics, there is still a lack of solid understanding in the professions that will be required to see supply chain finance programs through. I came to this review with just enough knowledge to be dangerous – and enthusiastic. In my opinion, supply chain finance is the ‘Robotic Process Automation’ (RPA) of 2016. BY 2017, SCF will be a regular part of corporate conversations across industries and geographies. Returning to the book, I was struck by the fact that it starts with three (yes, three) forewards. Each foreward author represents a slightly different perspective on the topic, underpinning the main book’s emphasis on the multifaceted understanding and execution required for SCF to be a success. Professor Dr. Michael Henke (Chair of Enterprise Logistics, TU Dortmund University Head of Enterprise Logistics Section of the Fraunhofer Institute for Material Flow and Logistics, IML) discusses the differences in terminology between supply chain finance and financial supply chain management and the obscured meaning and opportunity this disconnect creates. He also is the first to state the need for SCF programs to follow an integrated approach, including players inside and outside of the enterprise as well as in the banking system. Michiel Steeman (Executive Director of the Supply Chain Finance Community and Professor of Supply Chain Finance, Windesheim University of Applied Science) adds another interested party to the mix by talking about the role of governments as a stabilizing force. Theirs too is a question of education, as they need to have a better understanding of SCF in order to consider it properly in the context of policy decisions. Joost van Beem (Finance Director of the Heineken Global Procurement Company) describes the need for (and opportunity to build) community associated with a SCF program, particularly now as most companies are in the exploratory stages. He also offers up a real world view of how SCF can work that beer drinkers and non-beer drinkers alike will appreciate. In the fifty years between 1870 and 1920, the cost of distributing the necessities and luxuries which we consume, has nearly trebled, while the cost of producing them has been reduced by more than one-fifth... It is evident that what we are saving through lower costs of modern methods of production, we are losing through the higher costs of modern methods of distribution. Ironically, this view is not a new one, but rather predates the whole ‘strategic procurement’ movement of the last few decades. It was written by R. Borsodi during the first half of the 20th century in the book The Distribution Age: A study of the economy of modern distribution. Nearly 100 years later, we are studying the movement of goods and capital as well as information through our global supply chains. Although the three streams are separate, they must all be equally mobile, without one of the three being stopped at a border. Another obstacle is the size of organizations trying to do business together. Although SME prosperity largely determines economic strength, the current financing system puts them at a disadvantage. If organizations of all sizes are to continue working together to the benefit of all, investments in SCF will be necessary. For anyone interested in a really unexpected look at SCF, Chapter 8 provides a compelling look inside the world of Islamic Finance. Although I have little relevant knowledge about this part of the world beyond what I read and see in the news, this chapter was too tempting to miss. Although we would all acknowledge that there are ‘socio-cultural aspects’ in all global business, cultural considerations are raised to a new level in Islamic Finance. Interest, risk, and gambling are “not permitted” (although their definitions are not universally defined), and money is considered a means of measuring exchanges rather than an asset in and of itself. I highly recommend this chapter as it also contains a look at Finance in China and the Western world. Regardless of your knowledge of supply chain finance, you will find value in this book. For those new to the topic, consistent introductions and end of chapter recaps will provide solid ground. And for those ready to take their understanding to the next level, study questions and reinforcing exercises provide that opportunity.